Is the new SteelSeries Siberia Elite Prism perfect? Definitely not. It's what I expected of them a year ago to be honest. But if you ask me today if this is a good headset, at $199 US for either Black or White, I'd say that if you love the way they look, and you're willing to pay or them, you shouldn't be disappointed (this time). 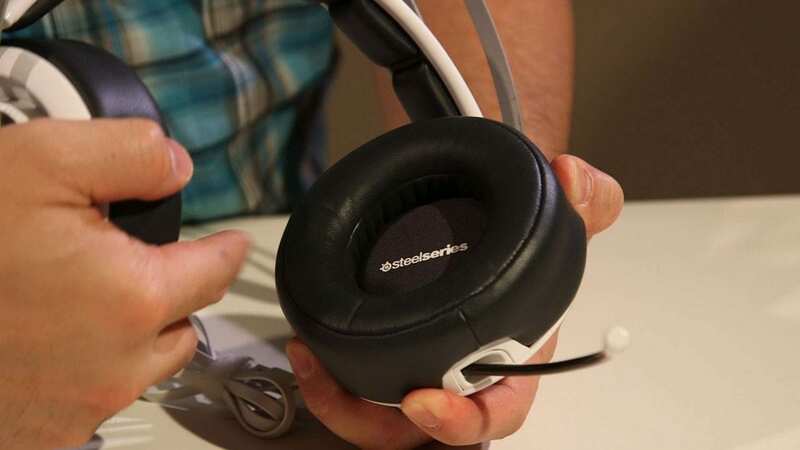 Not long ago, we reviewed the SteelSeries Siberia Elite headset, which was a bold design move for the company. It was unlike anything we'd seen on the market and we were dying to try them out. It just so happened that we got a set of Sennheiser G4ME ZEROs in at the same time, so we did a "Flagship Headset" battle pitting the Germans against the Danes, and it couldn't have been a more EPIC battle. On one end, we have a company that is still getting its feet wet in gaming, but its roots are in building some of the best professional headphones and microphones on the market. And then we have SteelSeries, a company that was created to fulfil the needs of gamers. Unfortunately, the Danes lost the battle, with a headset that was flashy, but failed to perform at the flagship level we were hoping for. But like any good company, they took all the feedback, good and bad, and decided to do something about it. And that something, is the SteelSeries Siberia Elite Prism gaming headset. Click the play button for our video review. I scheduled a LOT of conference calls over Skype and Google dialer the last few days. And if anything tested the clarity of a microphone, it would be a situation where you are trying to talk through a group of passionate people. If the microphone isn't clear, then you might as well hang up. The improvements on the mic made placement better (although I think the original Siberia Elite mic was a smidge better sonically), having the ability to put it were it needs to be, without fearing that it will "undo" its position, is part of the battle. Good placement is important for ANY microphone. But on the USB side, the improvements in the software and in the audio card, really came through for a loud (but clear), low noise experience. I was able to talk with some "spirit" using the compression settings to normalize the volume, and the noise reduction took care of the environmental noise. Noise such as children running around screaming, which is not unlike sitting besides team mates in a heated five on five, the new Siberia Elite Prism finally, excelled at fooling everyone on a conference call or two. I ended up playing a lot of TitanFall, and the thing that got me about the SteelSeries Siberia Elite Prism was the comfort. Like the experience I had with the Sennheiser G4ME ZERO, I put the Siberia Elite Prisms on, and didn't feel the need to take them off. I couldn't go all day like I could with the much lighter G4ME ZERO, but it's better than my experience of not being able to last 20 - 30 minutes in the original Siberia Elites, before my ears hurt. Back to gaming, I normally eschew surround sound modes, but I really found myself enjoying the more clear sound of the Siberia Elite Prism, mixed with a virtual sound field, while stomping around in a Titan. The more efficient and clear drivers, with the improved sound card and software, really let me enjoy this experience. This experience was sorely lacking in the original Siberia Elite, but we found it in its successor. I really enjoyed listening for other players, stomping around a corner, before I unloaded on them with my Titan. 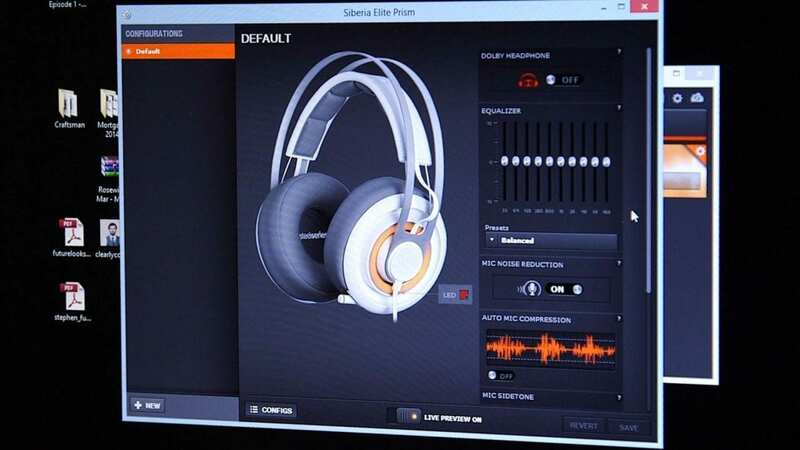 A lot of headsets get the surround wrong, but SteelSeries finally gets the Dolby Surround right, in the Siberia Elite Prism. As mentioned, the "distortion" and tendency for low volumes, disappeared in the Siberia Elite Prism. Thanks again to further ear cup and driver tuning, the analog side, through my NVIDIA Shield over GRID and Game Streaming, was also a great experience. Although looking like I've strapped pillows to my head at a coffee shop, playing a handheld gaming machine, was probably quite funny to look at. The new SteelSeries Siberia Elite Prism gaming headset is the result of over a year of feedback and in field testing. And when SteelSeries promised me that I would like the Siberia Elite Prism, and I did, I was pleasantly surprised. I don't enjoy giving a bad review to a product, but the Siberia Elite deserved the thrashing, but this new headset deserves my praise. This new headset was equally happy being driven by my Google Nexus 5, to my NVIDIA Shield Portable. And of course, it was very happy hooked up to a gaming motherboard with a decent amplifier and audio CODEC onboard. Gone was the "distortion" that crept in when trying to turn up the volume to a reasonable listening level, on lower quality analog sources, and we now have great quality sound levels. Secondly, Version 2 of this included sound card is a big improvement. 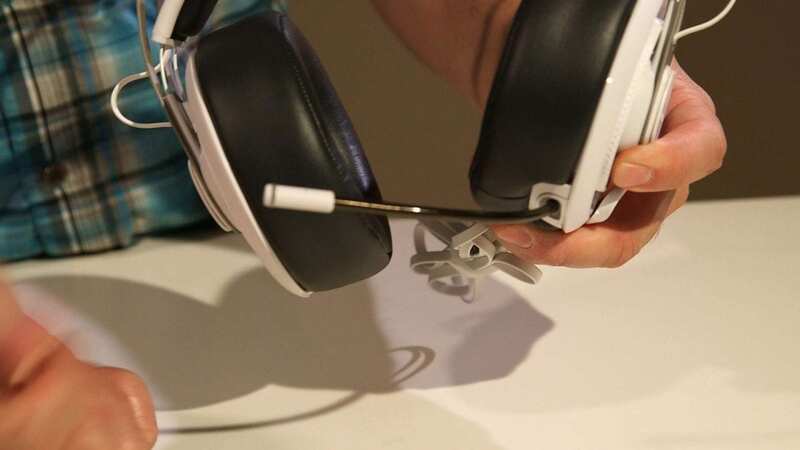 The range of settings that let you tweak the microphone to your environment, were responsive, and the ability to change the colors, tweak the settings, then save them in the cloud, made moving this headset to another gaming PC, easy and painless. I even found myself enjoying the Dolby Surround modes for gaming, which was something I did not enjoy in the originals. From someone that is a snob about surround, I was pleasantly surprised at the experience. SteelSeries has also been making their headsets "multi-platform". Although we are still missing Xbox One support, this is definitely a great value added benefit that allows you to use one headset for all your gaming and audio needs. Rather than having to purchase a set, specific to each purpose. Finally, my number one concern with any headset is comfort. All the bells and whistles don't matter, unless you can enjoy them in comfort. I'm happy to report, that with the improved ear cup design, and the improved headband geometry, the SteelSeries Siberia Elite Prism, is now an enjoyable experience. While I still prefer the all day wear of the Sennheiser G4ME ZERO, or even the lower end SteelSeries 9H, my gaming experience was not a bad one, with the Siberia Elite Prism on my ears. Help Us Improve Our Reviews By Leaving a Comment Below! NVIDIA Moon Landing Demo Available for Download. Conspiracy Theorists Too.